I have been Personal Training for 7 years with Millennium Health Club. I am inspired professionally by helping my clients achieve goals they never thought were possible. The majority of the time a client comes to see me they want to lose weight or gain strength. When working towards this goal, we set other goals based around their major goal, and as a result the client might perform something incredible like their first chin up or complete a 10km marathon and realise how much more they are capable of achieving. As a trainer I enable my clients to be able to learn and understand the process of obtaining their goals. Knowing the right technique for an exercise, how to perform different types of programs based on their goals and other such aspects of exercising is a huge advantage in the long run. This allows my clients to enjoy their training with myself and in their own workouts as they have the knowledge and correct technique. 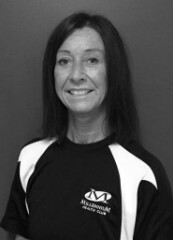 I have been a Personal Trainer and Group Fitness Instructor at Millennium Health Club since 2008. 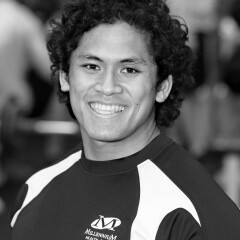 I began at Millennium Health Club Charmhaven before moving to Waitara in 2009, where I have continued Personal Training, Instructing classes and working in the Gym Floor team. 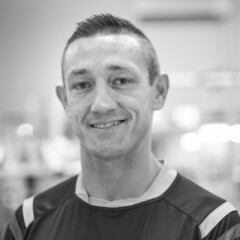 Having played Rugby League for 20 years and participated in various other sports I have a very good understanding of what's required to set and reach goals in regards to health and fitness. I am currently studying a Bachelor of Education PDHPE at ACPE. I have worked at Millennium Health Club for 8 years. 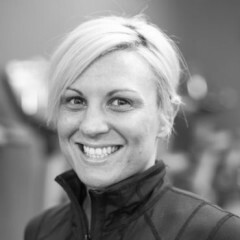 I am a Senior Group Fitness Instructor in Les Mills Body Pump, Les Mills Body Attack, Les Mills RPM, Level 1 2 & Advanced Profit Boxing and MXT. 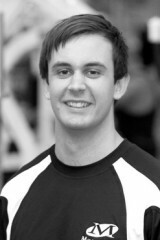 I am a part of the Personal Training Team at Millennium. I’ve been passionate about fitness from a young age, and have played competitive sport for as long as I can remember. I was playing tennis competitively from around 6 years old until my mid teens, travelling around Australia for National Youth Tennis competitions. During this time I was also progressing with my Football career, and after being accepted into a semi-professional team at 15 years old I made this my main focus. 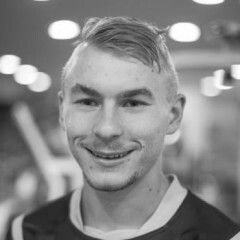 My football career has taken me around the world, playing professionally in Estonia for a year before making my debut in the Australian professional league with the Central Coast Mariners. In my time with the Mariners I was lucky enough to win the Lucas Neill Scholarship, and receive mentoring from Lucas who at the time was playing with the Australian football squad. During this time I decided to start focusing on a career path in the fitness industry, as well as continuing to play football semi-professionally. 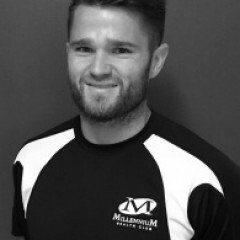 I’ve now been working at Millennium Health Club for 2 years, and I have found it very rewarding being able to see the transformation in my clients both mentally and physically. Through my years of professional football I have learned to never underestimate the power of working in a team. Having a personal trainer creates a team, in which you get the best possible support, knowledge and advice you could hope for whilst exercising in a fun environment. 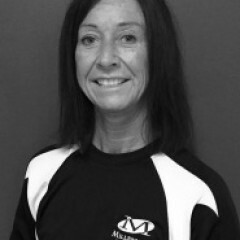 I have had a passion for health and fitness for as long as I can remember, and I have been a part of the Millennium Health Club Team as a Senior Personal Trainer and Gym Floor Instructor/ Manager since 2004. During this time I've worked with a vast number of clients ranging from the de-conditioned to advanced athletes completing close to 10,000 sessions. Personal training for me is extremely rewarding, and I feel privileged to be able to help change my clients lives for the better. 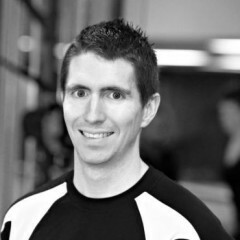 I feel I bring a good level of knowledge and experience to my PT sessions, as well as variety ,intensity and energy. My preferred training style is functional circuit based training but I will always adapt and change my training styles to suit the needs and goals and interests of my clients. I pride myself on my customer service and I will always go out of my way to ensure my client has the best experience in Personal Training. I have been at Millennium for eight years. My experience is with clients that have postural, and associated rehabilitation problems. I like to teach my clients how their bodies work and give them a strong foundation in movement technique. I draw from my thirty years experience in exercise here in Australia and the UK. - Anything else that is fun and makes me happy! 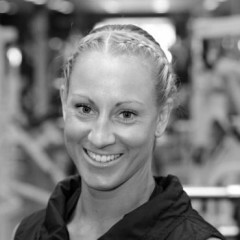 I am the Personal Training Manager at our Waitara club and am extremely dedicated and enthusiastic as a personal trainers. I have extensive experience as personal trainer and fitness instructor in the health and fitness industry ranging from a part time involvement beginning in 1999 to full time from 2001. My love of fitness and commitment to a healthy lifestyle has always been a way of life for me. As a child, I grew up with many opportunities to be involved in various individual and team sporting activities. I found a love for competing in swimming and progressed through to being part of the national swim team. Netball has been another great passion that I have pursued and I continue to play at a high competition level while also now coaching and mentoring my daughters’ team. My enjoyment of sport and being healthy meant that it was natural to pursue a career where I could continue being fit and promoting health and wellness to others. I take great enjoyment of working with my clients and love that I have the opportunity and privilege to help other achieve their goals. My flexible and understanding approach helps me to build a genuine rapport and friendship with my clients – some that have lasted for years! We design comprehensive programs together that focus on individual need and targets to help them stay motivated and dedicated in developing new habits. We lead such busy lives and since becoming a mother myself, I have a greater perspective on what is really important for everyone I work with. It is my aim to encourage my clients to make exercise and healthy living fun and easy to do. Whether it is a 20 minute run, early 6am personal training session or developing a healthy diet log, it all comes down to focusing on those positive choices we can make each day that will improve and enhance our individual healthy lifestyles. I believe that the foundation for a fit, strong & healthy body that you can be proud to show off lies in a holistic, healthy lifestyle approach which encompasses the three pillars of Training, Nutrition and Sleep. I like to educate my clients in regards to how different types of foods effect the human body and why we should/shouldn't eat certain types of foods to achieve different outcomes. In training, I like to take a functional strength training approach. I particularly enjoy using circuit training and supersets to give a "cardio" effect whilst doing resistance training, maximising the efficiency and effectiveness of every session. I always try to encourage psychological changes in my clients as well as physical changes, as - in my experience - this is a real must for people to achieve their goals. Through confidence in one's self and a positive attitude towards diet & exercise, I believe anybody can achieve any goal they want to, no matter how challenging that goal may be! 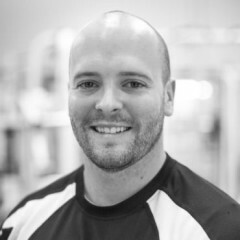 I have been a Personal Trainer for 10 years, and a member of the Millennium Health Club Personal Training team as a Senior Personal Trainer for 8 years, having progressed from the Gym Floor. I have a passion for strength and fitness and helping clients achieve their health and fitness goals. During my time as a Personal Trainer I have worked with various styles of training including Crossfit. I continually strive to keep my clients sessions constantly varied to ensure my clients achieve their maximum results. A recent success story was a client who achieved their goal of 25kg weight loss over the last 12 months, I believe when my clients make a commitment to a goal, I will do all in my power to support and help them achieve their fitness objectives. Dylan has been a part of the Millennium family for 1 year. He has completed a Bachelor degree in Sport and Exercise Management. 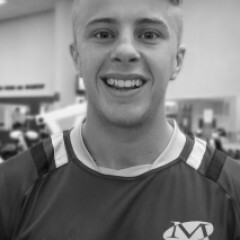 With a Tertiary qualification in fitness coaching, Dylan has a background in team sports, strength training and muscle building. 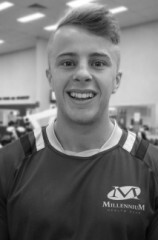 Dylan has a passion to help and guide his clients to reach their goals and fulfil their true potential. 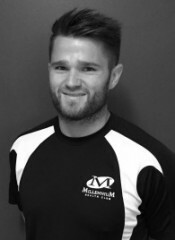 Nathan has been working the fitness industry for over 5 years, with all these here at Millennium. During that time he has worked with many 1 on 1 clients, small groups and classes. He has a thirst for knowledge and is regularly learning new skills or attending workshops. Whilst learning and challenging himself he found one style of training he can't go past; that one great passion is CrossFit. He enjoys training himself, learning new techniques or coaching others in this functional form of fitness Nathan enjoys pushing people to their limits no matter their fitness level and teaching people what they are capable of. "There is nothing more satisfying for me than seeing someone achieve their goals and improve their lives." My passion for health and fitness lead me to a Bachelor Degree in Human Kinetics where I graduated with Honours and became a personal trainer. I believe in a multi-disciplinary approach to health and personal fitness. Sustainable results are achievable through a healthy balance of movement, nutrition, and lifestyle modifications. Exercise, nutrition and lifestyle programs are customised to each individual’s goals. Depending on your desired outcome, your commitment level, and your current challenges, I will work with you to create a realistic action plan. The best program is the one that you will consistently follow. I follow the flexibility, stability, strength and power paradigm with regards to exercise program design. This progression allows for improved posture and performance without pain or injury and ultimately builds a stronger more functional body. Matt joins the Millennium Team! 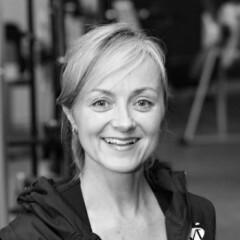 If you are looking for someone that is passionate about acquiring more and more knowledge and skills as an exercise professional then look no further. 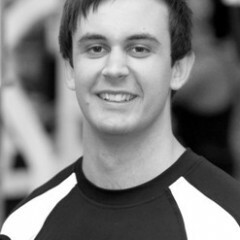 Matt has a degree in Exercise Science and is always looking for ways to further expand his knowledge. In fact we would say he is consumed by it! He is so passionate about this industry and it shows in all his dedication, focus and enthusiasm to help his clients achieve their goals. Sams journey started 14 years ago when she began her own fitness transformation and became completely hooked on Health and Exercise in the process. The great thing about Sam is she doesn’t prescribe the same old tired training regimes to everyone. She treats each client differently recognizing that what works for one person may not work for another. This means that you end up with a program that is effective, targeted and enjoyable. And we all know that if you can enjoy the training, results are so much easier to achieve. Sam herself trains with a mixture of styles and philosophies. 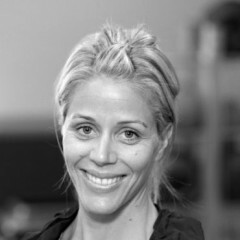 She incorporates weight training, distance running, HIIT training and innovative cardio techniques such as functional training into her daily exercise routines. You see Sam red faced and puffed in the gym as she trains. After all the best trainers practice what they preach! My early background was rugby league representing NSW schoolboys as a teenager. Later on into my 20's and 30's I became a touch footy referee reaching Level 6. My highlights were representing Australia in NZ twice back in 2005. 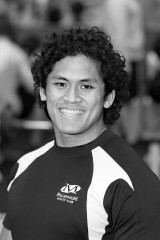 In 2009 I gave up touch footy and commenced into the fitness industry. Battling the bulge all my life I gained a strong passion for weight loss hence I'm probably known to focus more on cardio type sessions. It truly is enjoyable seeing and hearing how members and friends have achieved such great results. The gym became my happy place 10 years ago now and it's great to make others happy as well.